Food/resource aggression. This is when you find the dog growling or guarding food, toys, beds, or other resources. They may snap if you try to take these away from them. Boundary door/aggression. Your dog may bark and growl at the door but be otherwise fine when people are in the room, making it hard to get in the house. This may also be scary for people visiting trying to deliver mail. Dog/people aggression. This is when dogs are aggressive specifically towards other dogs or people, but are generally okay with you/your family. This is one of the most concerning ones, as the dog can be reported as dangerous or end up getting too rough and hurting someone. Rough play. Your dog may be quick to get too aggressive with other dogs, which makes it hard for them to socialize and play. 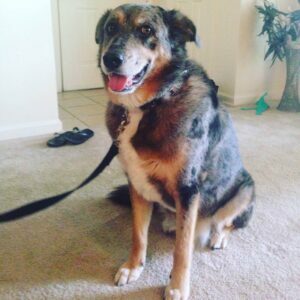 If things escalate to a point where the other dog is scared, hurt, or not having fun anymore, you may find yourself calling your dog back a lot to stop this behavior. Aggression is best handled and examined by experts, especially if you’re getting frustrated or scared by your dog – just ask our colleague who is a dog trainer in Richmond and also works with aggressive dogs. No matter how intimidating these behaviors can be, we know how to help and would be happy to check the behavior out for ourselves in a one on one consultation to figure out the best way to address it. If you’re unsure of where to go next, call us – aggression isn’t the end of the world, and it’s never a reason to give a dog up. 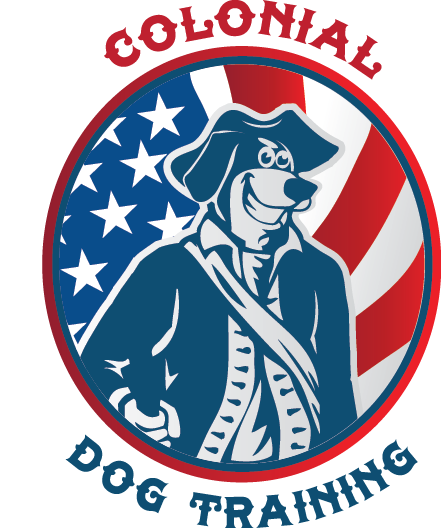 Our expert trainers at Colonial Dog Training Boston are familiar and comfortable with working with aggressive dogs and would be happy to teach you ways to handle your dog and retrain them to be more gentle, loving, and receptive to you or other dogs.